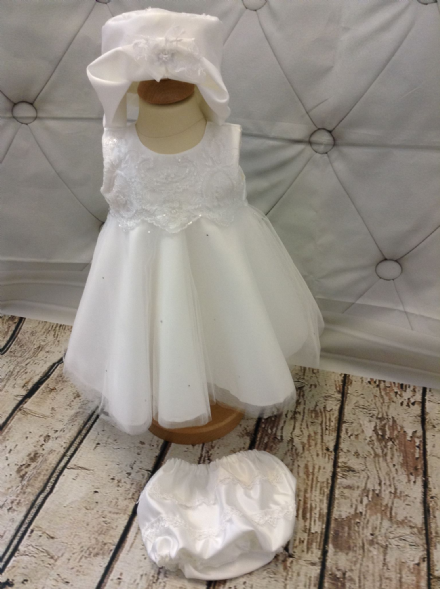 Ivory sleeveless christening dress with brocade bodice and shimmer voile over ivory satin skirt. The dress is fully lined in polycotton, including petticoat under the skirt. . The lining is soft and cool against baby's skin. There is a zip fastening to the back, making it easy to put on and take off. 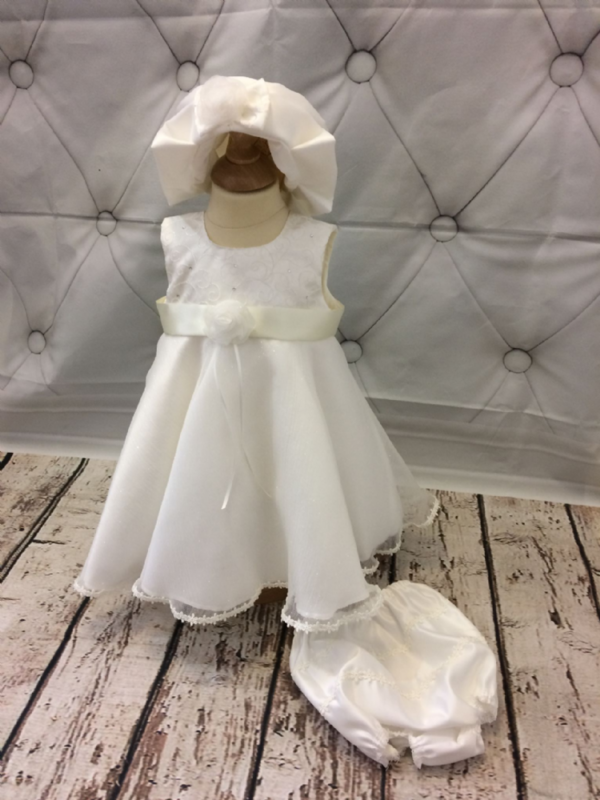 The dress comes complete with a matching hat and ivory satin pants. Available in 0-6 months, 6-12 months and 12-18 months as standard. Add a garment cover for £2.50 to help protect your dress when storing in a wardrobe.